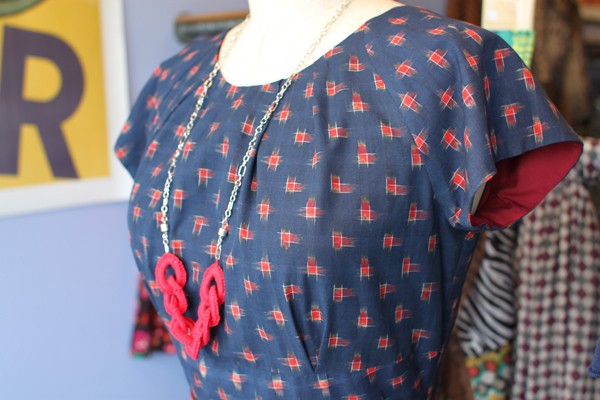 A beautiful new Doris Dress in navy blue cotton with a lovely red ikat print. We love it paired with a bright red belt and statement necklace! 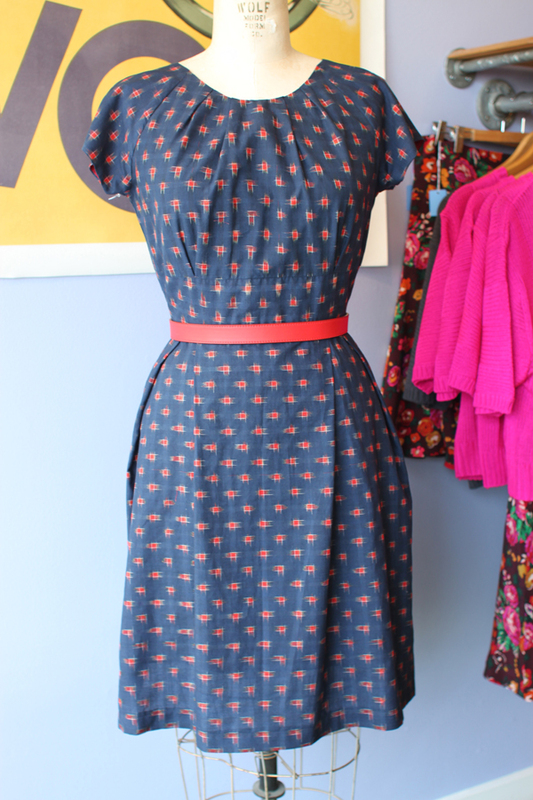 Could there be a more perfect dress for any season?